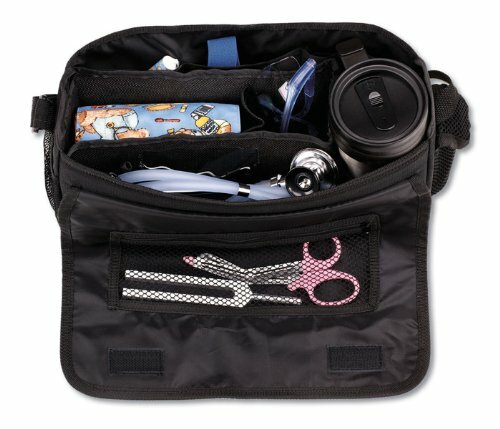 The Car-G0 utility bag is designed for the traveling or homecare nurse. Features include a travel mug holder, front mesh pouch, cell phone pouch, removable aneroid sphygmomanometer compartment and a bottom Velcro strip which holds the bag in place on cloth seats or floor. Multiple inner compartments hold additional equipment and personal effects. Dim: 13" x 6" x 4".